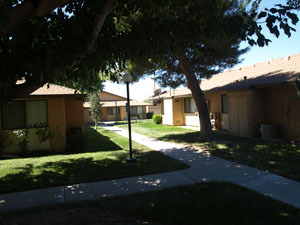 QUALITY, AFFORDABLE, ONE BEDROOM APARTMENTS FOR 62 YEARS OF AGE OR DISABLED OF ANY AGE. 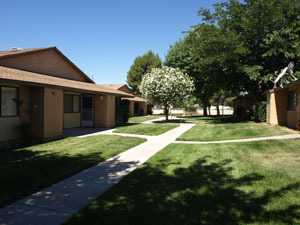 Rosamond Hills is the result of the vision of several local residents who saw the need for affordable senior housing. 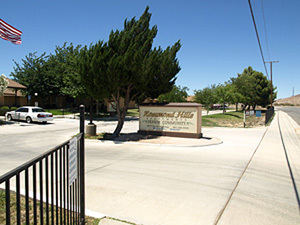 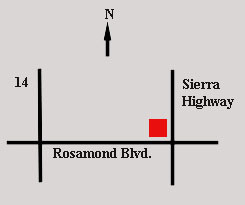 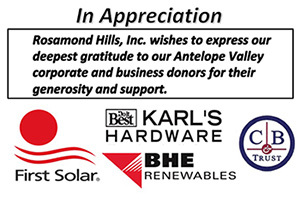 In the late 1970’s, they formed a not-for-profit corporation composed of Antelope Valley residents, purchased property at the intersection of Sierra Highway and Rosamond Blvd., and obtained a loan from the federal government to build the first 44 apartments. 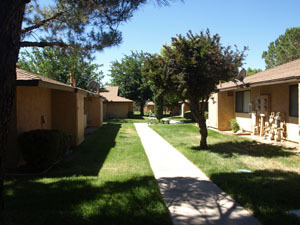 Later, the loan was modified and more apartments were added. 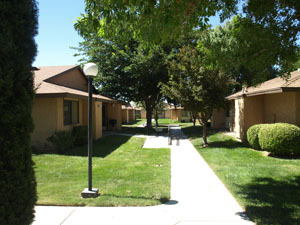 There are now 78 one bedroom units with a manager’s unit. 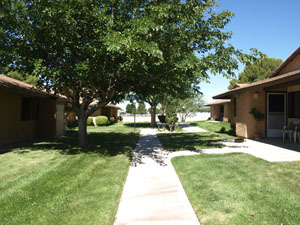 Some units have accessibility features.